For 30 years CGS has enabled global enterprises, regional companies and government agencies to drive breakthrough performance through technology and services. Headquartered in New York City, CGS employs more than 5,100 professionals across North America, Latin America, Europe and Asia. With global delivery capabilities, expertise across leading platforms and deep experience in multiple industries, CGS has become the IT partner of choice for thousands of organizations worldwide. CGS delivers a wide array of proprietary and third party business applications, technology, business services and business process outsourcing solutions, including customer care, technical support and corporate learning and training. Phil Friedman was born and raised in the former Soviet Union. After spending 12 years in numerous positions in the electronics industry, he immigrated to the United States and settled in New York City. In addition to his degrees in Electrical Engineering, Economics and Finance from his native country, Mr. Friedman also studied Information Systems in the United States. 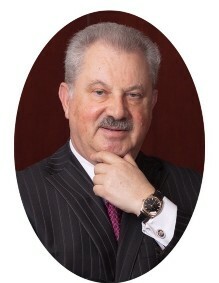 In 1984, Mr. Friedman started Computer Generated Solutions (CGS), a diversified IT solutions and services company providing software, consulting, systems integration, training and help desk support. Today, with over 5,200 professionals and a global presence spanning North America, South America, Europe and Asia, CGS maintains a leadership position delivering end-to-end, award-winning solutions in over 40 countries around the globe. Under Mr. Friedman’s leadership, CGS has been recognized by Inc. Magazine, Deloitte & Touche, Crain’s New York Business, among others, as one the fastest growing privately held technology companies in the United States. Mr. Friedman has expanded CGS through organic growth as well as the successful integration of several acquisitions. In 1996, Mr. Friedman was named Entrepreneur of the Year by Ernst & Young, Inc., Inc. Magazine, Merrill Lynch and the City of New York. In 2007 Mr. Friedman was awarded the Ellis Island Medal of Honor. In 2007 and 2008, he was appointed to represent the State of New York on the Presidential Business Commission and to serve as an Honorary Chairman on the National Business Advisory Council. In 2011, Mr. Friedman received an Honorary Doctorate Degree from Yeshiva University. Mr. Friedman served as the President of the American Committee of Shaare Zedek Hospital and is a member of the American Board and the International Board of Governors. He also serves on the Board of Yeshiva University and is the current Chairman of the Finance Committee and the Treasurer of the University. In addition, he serves on the board of the Tom Lantos Foundation for Human Rights and Justice, and is a member of the Executive Committee of the Tom Lantos Institute. Mr. Friedman is a Fellow of the Foreign Policy Association. CEOCFO: Mr. Friedman, your website indicates that CGS is a leading global provider of business-empowering solutions. What does that mean on a daily project-by-project basis? Mr. Friedman: Well, to give you a little bit of background on myself and the company, I have to start at the beginning. I came to the United States from the former Soviet Union in 1976, having earned degrees in electrical engineering, economics, and finance. Upon arrival, I went back to school and studied technology with a focus on data processing. After working for garment manufacturer Charles Greenberg & Sons, I branched out on my own and started CGS in 1983. As it stands today, CGS is a thirty-year-old privately held company; in fact, we just celebrated our thirty year anniversary. We’re extremely unique in that most of our competitors, unlike us, are focused on a single product or service. However, we are very diversified in what we do, which was something I believed in from the very beginning. I never wanted to be dependent upon a single product or service. I think that strategy has proven effective after starting out with five employees and growing to over 5,100 worldwide with operations in 35 countries and 20 global offices. CEOCFO: The president’s message on your site touches on entrepreneurial spirit and being nimble even though the company is such a large size. How do you achieve that and what is the key to being able to pull that off - it is not easy to do and very rarely done? Mr. Friedman: To me it’s important that the company maintains its entrepreneurial spirit as a large, privately held company in terms of the people, relationships, and management. I’ve always strived to create a sense of entrepreneurship with my management team and employees. To accomplish this, I make sure the executives participate in the budgeting process from the very beginning. It’s a very formal process but it starts with the business unit executive who assumes full responsibility for running that entire unit, from sales through delivery. I always encourage my executive team to take ownership of the business, and run it as entrepreneurs. It’s my role to ensure that no one gets ahead by stepping on someone else because we do not tolerate politics at CGS, something that is unfortunately all too common in today’s corporate America. We work as a team. It’s a philosophy that comes from the top because I do not tolerate any politics and work very hard to ensure it permeates the entire business. CEOCFO: Did you have that concept from the beginning or did it develop as you got bigger and bigger and perhaps noticed a culture you did not like? Mr. Friedman: No, this is something that we believed in from the very beginning. We try to promote a spirit of entrepreneurship within the company. But every once in a while politics rears its ugly head and you have to squash it immediately. We have an executive team that has been together for many years and it’s understood that if they observe office politics they put a stop to it very quickly. CEOCFO: CGS works in many industries. Are there areas where you would like to have more of a presence or are there particular types of projects you would like to see more of than you are currently handling? Mr. Friedman: We have a major presence in the fashion, manufacturing, distribution, and retail industries and our BlueCherry® Suite is one of the most well known solutions in those verticals. We also have a major presence in financial services and telecom as well. In addition, we are the main provider for the healthcare industry in Latin America. Obviously different markets present different opportunities, challenges and competition. We strive to deliver a single product to our customers and that product is part of our name – “Solutions.” Whether it be infrastructure, software services, training, or outsourcing, we are able to cross-sell to our customers several products and services that we bring to the market as a single solution. Our customers appreciate it because at the end of the day they are not buying a product or service; they are trying to solve a business issue at hand. CEOCFO: Are you finding it easier to work on the overall solution or provide the overall solution as people become more aware of the need for coherence? Mr. Friedman: Running a very diversified company is both a blessing and a curse. We have many opportunities to cross-sell our products but it’s a bit more difficult to manage because you have many moving parts. The fact that we have been in business for 30 years and have never had a bad year says a lot about the quality of our solutions and people. Simply put, our strategy is working and we have thousands of satisfied customers. While you always have to adjust, this particular go-to-market strategy is tested and proven, and the results bear that out. CEOCFO: You do a lot of work with retail. What are you able to provide that perhaps others in that competitive arena cannot offer? Mr. Friedman: Diversification of what we do is very important which is why we have an enterprise resource planning (ERP) system, distribution systems, financial systems and provide technical support to major retail operations for technology they have deployed in-shop. You probably cannot name another midsized technology company that does what we do. Customers can purchase the software from us and we provide the services, implementation, employee training, and support the point-of-sale technology in-store. We have our own mobile platform for point-of-sale and provide remote technical support and monitoring 24/7 from one of our ten support centers around the globe. I don’t think too many companies have the capabilities to do that. Obviously with the emergence of omnichannel, retail has changed dramatically and you have to acquire the capability of selling through all the channels in order to be successful. CEOCFO: Do you find that the majority of your customers take your advice and let you implement what you know is right for their company? Mr. Friedman: There’s always an element of compromise when you implement a solution and enter into a partnership with your customer. It doesn’t work when you try to impose your solution without a buy-in from the customer. Sometimes they have to accept the fact that implementation will trigger reengineering of their business. We pride ourselves on industry knowledge--understanding trends and best practices--and we implement our solutions based on that information. We work closely with our customers and sometimes it takes a lot of work to convince them that “their way” may not always be the best way for their business long-term. But it’s all about the partnership. CEOCFO: What do you do as CEO day-to-day? Mr. Friedman: I am a very hands-on CEO and have my fingers on the pulse of the business while still allowing my executives to run their respective units. Every Friday I walk out of the office with about thirty-five electronic reports from the field that I read over the weekend. On Monday mornings we have a staff meeting with our twenty-five executives from around the world and the alternate Monday we have a divisional meeting where I meet with the second tier management in every division. Despite having over 5,100 employees all over the world, I’m still aware of everything happening at CGS on a daily basis. CEOCFO: Why should the business pay attention to Computer Generated Solutions? Mr. Friedman: I think the single most important element is that of trust. In thirty years we never let our customers down. In business, sometimes you miscalculate but if we make a commitment to our customer, we always deliver. At the end of the day our customers know that if they sign an agreement with us we will always live up to our promise. We don’t compete solely on price but on the quality of what we deliver and the commitment to the customer that we serve. That’s the way it’s been for the past 30 years and I hope it will continue into the future. Mr. Friedman: We are witnessing some incredible things in terms of technology helping companies change the way they do business; allowing them to be more productive, innovative, and profitable. CGS is lucky to be part of this process and I believe that after 30 years we are just getting started. The best is yet to come.